What does the right to organize have to do with deportations of undocumented immigrants? Far too many brave immigrant workers who blow the whistle on bad employers get scared out of organizing because of the constant threat of deportation. Immigrants work in the shadows, far too often dealing with employers who steal their wages, and threaten to fire them if they do anything about it, or even worse, call Immigration and Customs Enforcement (ICE) and have them deported. 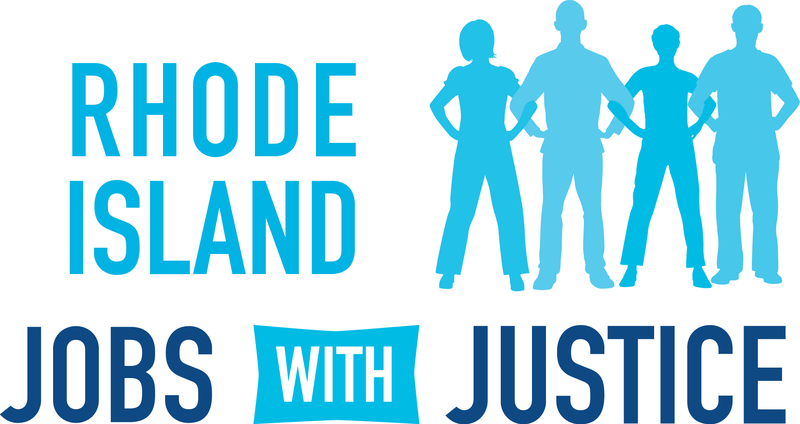 Immigrant workers who blow the whistle on bad bosses raise standards for all of us, and that’s why RI Jobs with Justice is partnering with Fuerza Laboral, and a local union to protect immigrant workers’ right to organize free from retaliation and interference from ICE agents. But protecting immigrant workers’ right to organize doesn’t stop there; in order for people to feel safe to exercise their rights and make us all better off, they need to know they can get through their daily lives without the fear of being deported. They need to be able to access drivers’ licenses to bring their kids to school. It’s time to end the second class status immigrant workers face. That’s why RI JwJ is a proud member of the We Are All Arizona Immigrant’s Rights Coalition.